February 4, 2014—Following another's gaze or looking in the direction someone is pointing, two examples of receptive joint attention, is significantly heritable according to new study results from researchers at the Yerkes National Primate Research Center, Emory University. Determining such communicative cues are significantly heritable means variation in this ability has a genetic basis, which led the researchers to the vasopressin receptor gene, known for its role in social bonding. 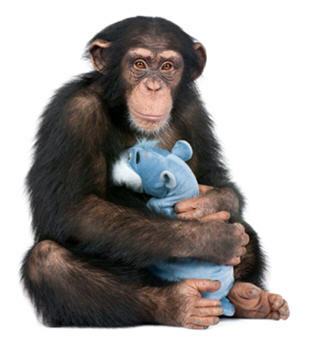 "Genetic Influences on Receptive Joint Attention in Chimpanzees (Pan troglodytes)” William D. Hopkins, Alaine C. Keebaugh, Lisa A. Reamer, Jennifer Schaeffer, Steven J. Schapiro & Larry J. Young . Scientific Reports 4, doi:10.1038/srep03774. Press materials provided by Emory Health Sciences.